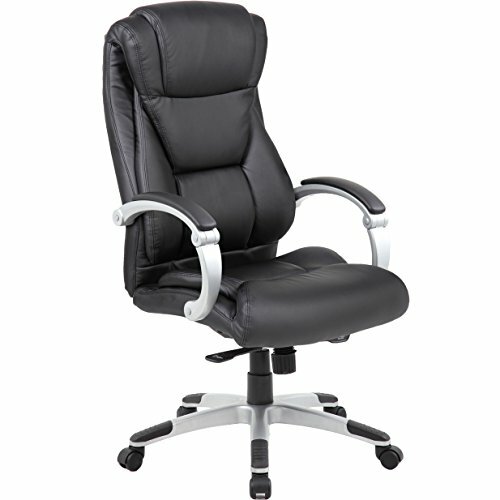 The Genesis Designs "Executive" LeatherPlus Executive Chair is a premium executive office chair. The material is LeatherPlus and is extremely durable. The chair has a lever and an 80mm class 3 gas lift to adjust the height. The back can also be adjustable to the perfect tilted angle. This chair is perfect for the corporate office or home office. The chairs dimensions are 29.75 (depth) x 24.25 (width) x 44-47 (height) inches. The arm width is 4.5", the arm height ranges from 26.75"-29.75", the seat width is 21", the seat height ranges from 18"-21", the seat depth ranges from 19.5"-21.25", and the back height is 30". The chair meets the BIFMA standards and can support 255 lbs. If you have any questions about this product by Genesis Designs, contact us by completing and submitting the form below. If you are looking for a specif part number, please include it with your message.